Book Nowsave 30% on rooms when you book with us! Crystal clear waters, amazing sea creatures, and water sports may seem like a vacation that is only possible in movies or our imagination. Let Cartagena yacht rentals change your imagination to reality and give you that well deserved holiday with your loved ones. You do not need to own a boat to have the best boating experience ever, and you can charter and explore the clearest of waters with your family. With our rentals, you are guaranteed first class service on your vacation. We offer you the best affordable cruise with an option sailing in style to a nearby island with a team of trained crew to take orders from you. Our yacht cruise makes you the captain, and you make the decisions during the cruise. We also offer different choices for the cruise according to your preference. We have vessel cruise ship starting from 26 ft. To 100 ft. To accommodate parties for you and your family. Our ships are classy and well-spaced for maximum comfort and they satisfy your imaginations of a cruise vacation. Whatever boat you choose comes with a glorious interior which is equipped to handle a variety of occasions. The vessels are also stocked with top notch entertainment through an onboard bar and a high-quality audio system which runs through the entire vessel. With this entertainment, you and your guests are sure to have the best boating experience you ever imagined. Our cabins are well built from r your comfort while on a cruise to enable you to seat and rest either in the cabin or on the deck. Our cruise promises a unique experience in boating and also offers sea sports and games such as diving, water skiing, and paddle boarding. We also offer snorkeling, kite surfing and other water sports on the clean, clear water. Your safety is guaranteed on board as our crew are professionals, and the waters are the calmest you will ever see. Your safety on our cruise is our primary responsibility, and we ensure that you are safely returned after your best holiday experience. Whether you are an adventurous person or a quiet and reserved person, Cartagena Yacht tours has the charter to suit all your preferences. We tailor your perfect vacation to your needs, and it doesn't matter if it's a birthday or an anniversary, and we guarantee that the occasion will be memorable. Our vacation spots are always clear with excellent weather for you to anchor the boat and feel the rays of the mild sun on your skin or dive into the crisp blue water. We also offer private getaways on the nearby islands for parties and also on the beautiful coastal line. 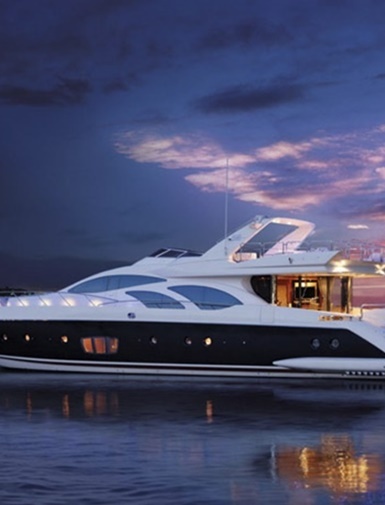 Your vessel comes with a VIP hostess, a VIP transportation in a limousine to and from your hotel and the yacht of your choice can be reserved for two to six hours. 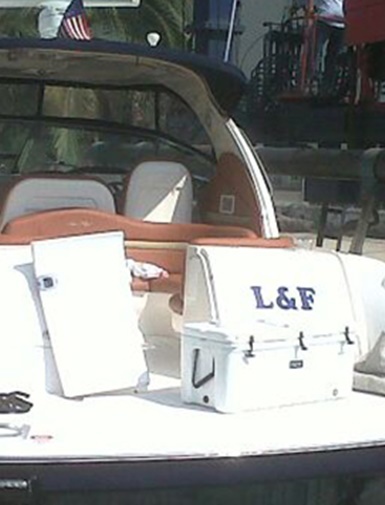 Our fleet offers the best holiday or party experience for both daily and weekly charters. 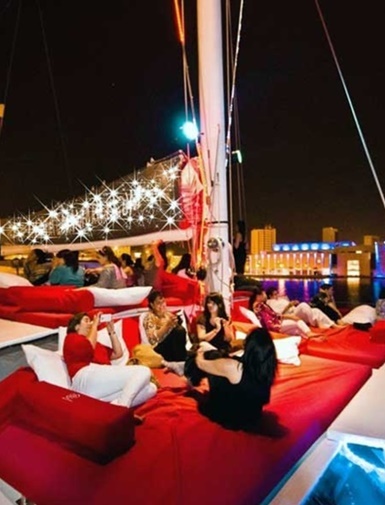 Cartagena Yacht Rentals offers you a massage, catering, an open bar and a DJ with our VIP excursions. Allow us to treat you like a king/queen and have the best holiday/party while you're at it. Dubbed the queen of the Caribbean coast, Cartagena is a romantic city with cobblestone streets, colorful colonial buildings, and white sand beaches that span the coastline. The port city by the sea is known for its clear, tepid waters where both locals and tourists alike go to enjoy a long afternoon at sea or a weekend excursion. 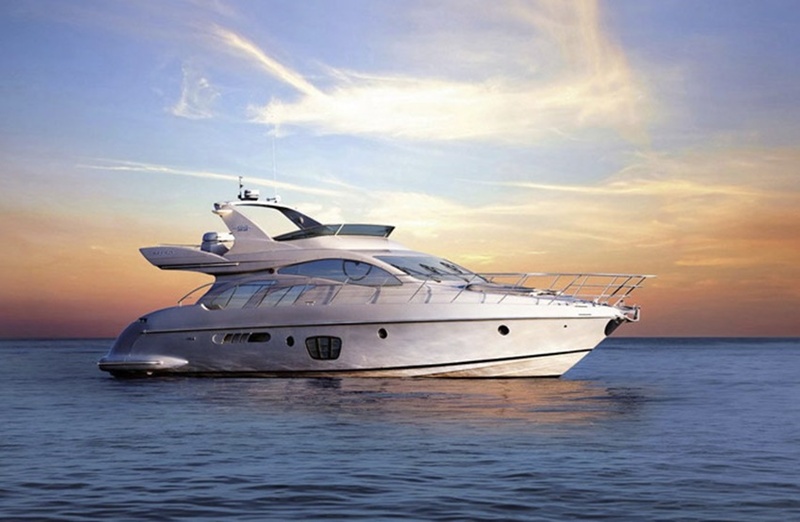 Yachting is the ultimate way to enjoy the water and surrounding skyline. However, you don’t want to settle for just any boat. 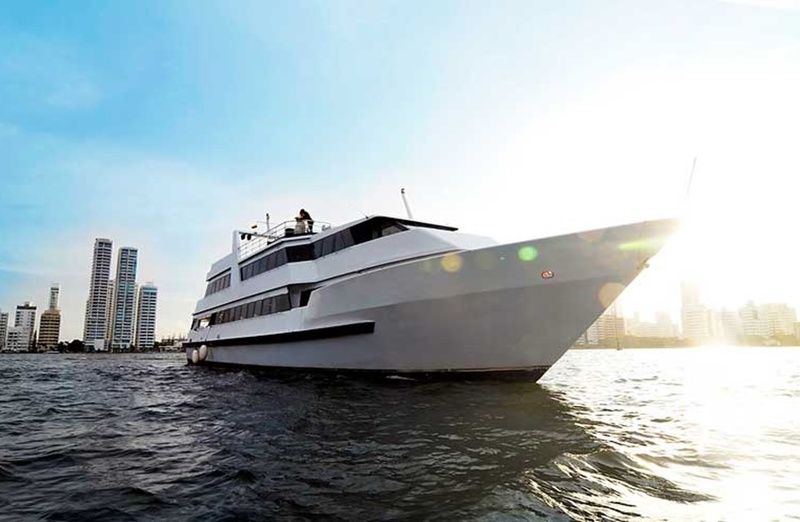 The Cartagena Luxury Yacht in Cartagena de Indias is one of the best ways to navigate the Caribbean. 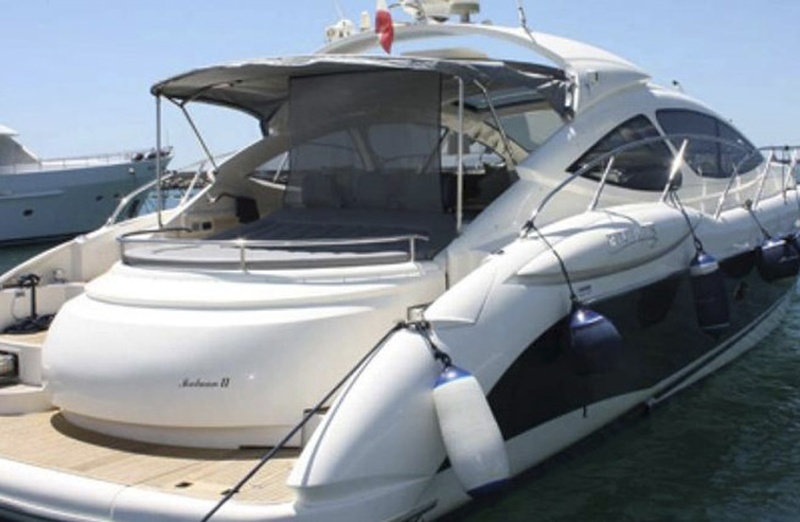 The Cartagena Luxury Yacht is considered one of the most prestigious Azimut brands. The model 60 yacht measures 20 meters (60 feet) long with enough space to accommodate up to 15 guests comfortably. 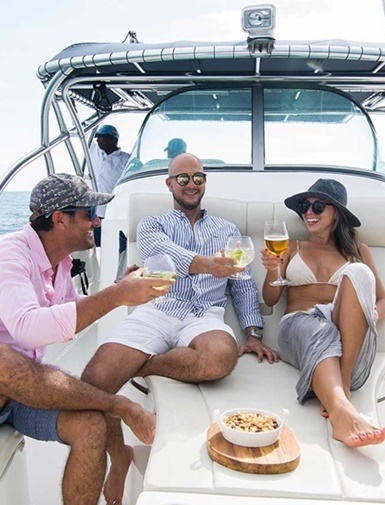 The spacious yacht is perfect for all of your vacation needs, whether you want to host a private bachelor party at sea or simply wish to spend the day cruising along the coastline with a group of your closest friends. The enclosed interior is perfect for guests who want to relax indoors, while the exterior deck is ideal for guests who want to enjoy Cartagena’s tropical weather conditions. Finding a boat large enough to accommodate a large group is not always easy. When hosting large groups of people, you want to have enough space so that everyone can spread out and relax, as well as have extra room for entertainment crews, caterers, DJs, and crew members. 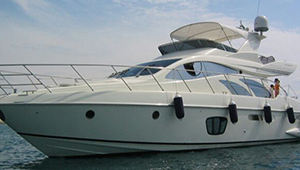 For luxurious boating in Colombia, reserve the Cartagena Yacht Rental for Large Groups. The massive boat spans an incredible 135 feet in length which provides ample room for all of your passengers. 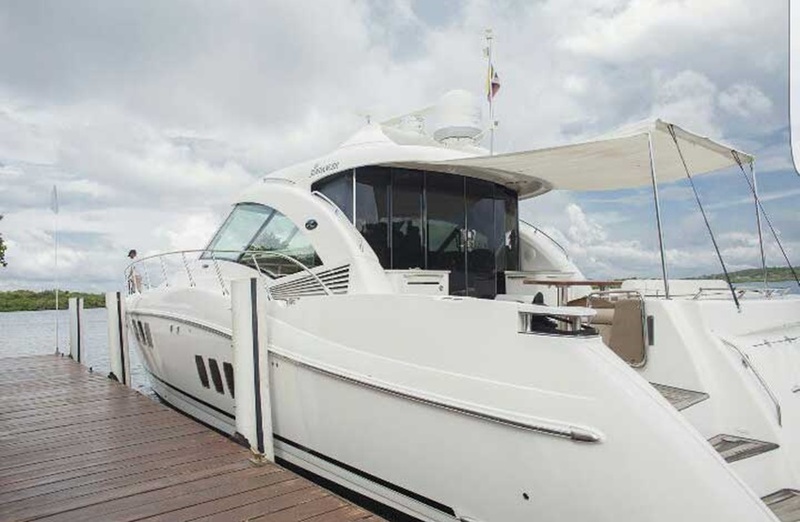 In fact, the Cartagena Yacht can comfortably accommodate up to 150 passengers in its interior and exterior areas. 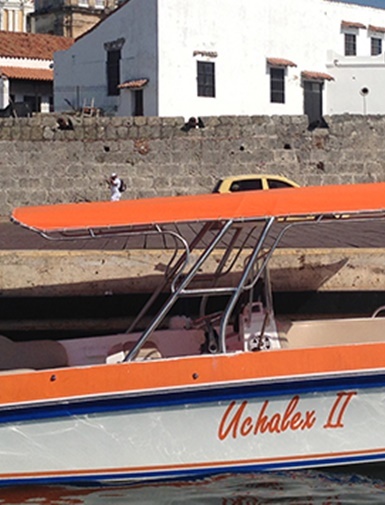 The Cartagena Yacht Rental for Large Groups is not your ordinary boat. Much like a lavish hotel, the spectacular yacht has multiple floors equipped with the latest technologies and premium furnishings. The four story boat is divided into three large rooms, each elegantly decorated to meet the expectations of its high-class guests. In addition to spacious lounging areas, you’ll also discover dining areas, a room equipped for presentations, and on deck seating and tables where passengers can relax and socialize. 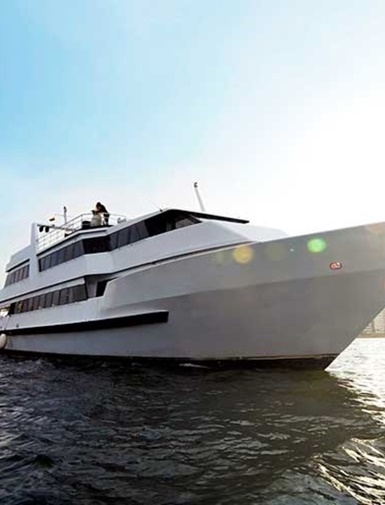 With all of these amenities on one boat, it’s never been easier to host a successful event. Situated on the northern coast of the Caribbean Sea, Cartagena is known for its beautiful shores and water activities. 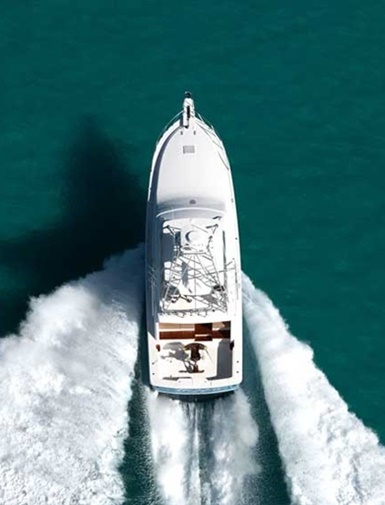 Yachting is a favorite pastime among both locals and tourists alike due to the tropical weather conditions, smooth water, and plethora of luxury boat rentals. 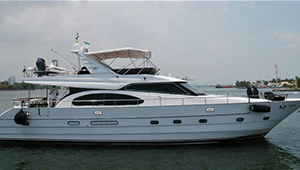 One such option for your next vacation or weekend getaway is the Cartagena Yacht Party Boat. 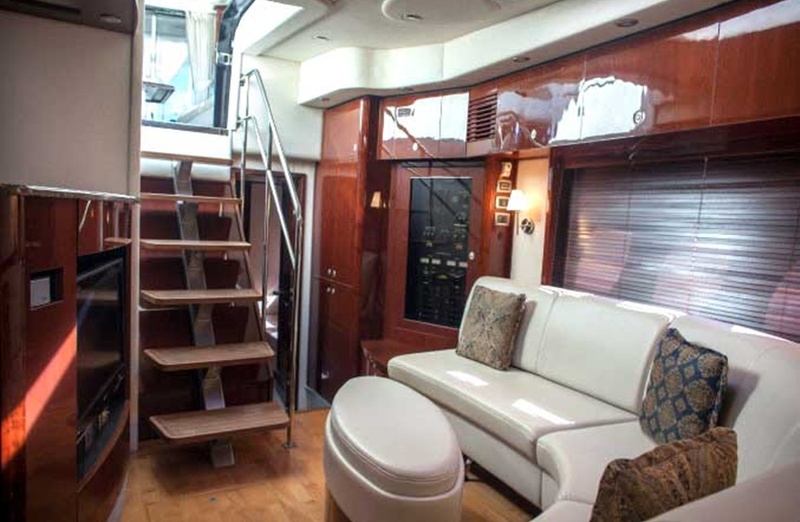 The impressive 60 feet vessel is highly spacious with enough room to accommodate up to 20 passengers comfortably. 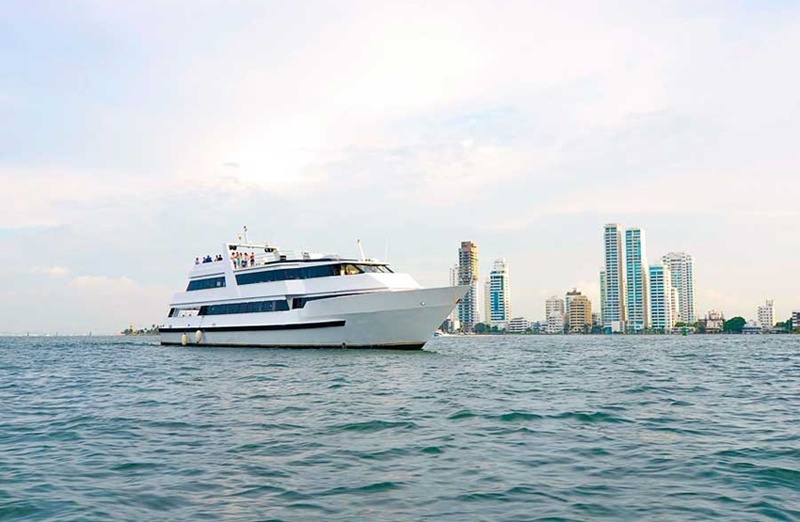 Learn more about the Cartagena Yacht Party Boat and why you should make it your next party destination. 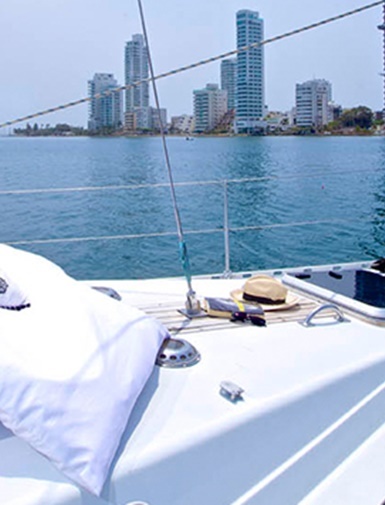 If you value luxury accommodations, you’ll love staying in the Cartagena Yacht Party Boat. 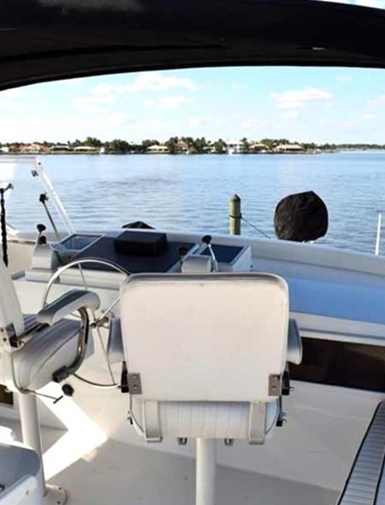 The modern yacht is elegantly constructed of wood furnishings with high standing fixtures and plenty of features and amenities for guests to enjoy. Each interior compartment is equipped with air conditioning to ensure that you and your guests remain cool and comfortable throughout your stay. The boat contains four spacious cabins, as well a fifth cabin where the crew stays while they attend to your needs. The boat also contains five bathrooms to ensure that every guest has their own private space. It’s like a lavish hotel on the water.